Recently I went in search of information about my father, Doug Cooper. Like others born in 1940 or thereabouts, I suspected that I was not alone in feeling the need for a search. Being born during the first year of the war that started in 1939, I certainly couldn’t remember anything of my father before he was ‘called up’ in 1942. After his return in 1946, his relationship with my mother was fraught, and she terminated it soon after his return, so I didn’t get to know him much even then. But at least he came back; others born about the same time as me had fathers who did not, and they had even less opportunity to become acquainted with their fathers. Perhaps their mothers told them more than mine did. In those days, though, adults seemed to feel the need to shield children from adult matters. I recall how one of my mother’s sisters would proudly say that their parents never spoke a harsh word ‘in front of the children’. I was 78. My search was perhaps prompted by several things. The sentimentality and leisure of old age was one. My return to live where I was born and schooled, on the Central Coast of New South Wales, was another. This return was not prompted by sentiment, but by chance and economics (the Central Coast has a lot of relocatable home ‘villages’). 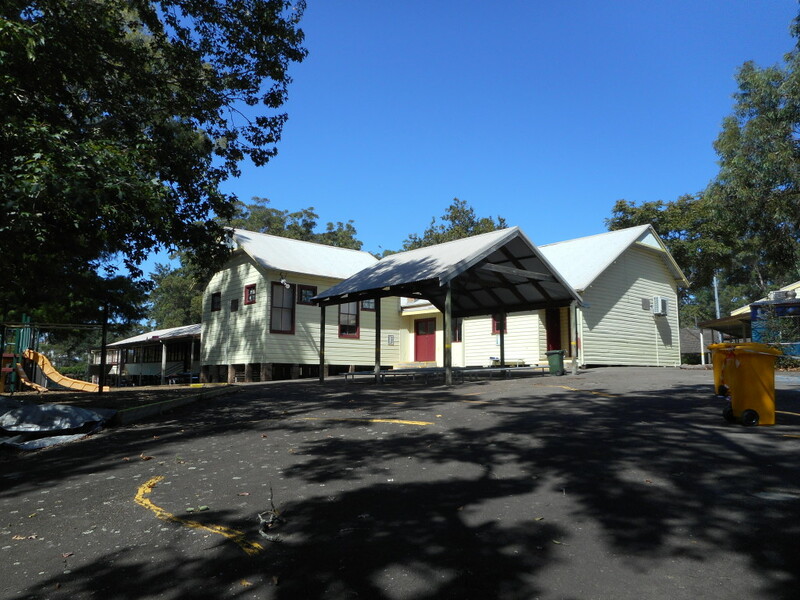 I was, however, pleasantly surprised by the emotional comfort I derived from the familiar sights: the curves of the roads, the shapes of the hills, the familiar coastal vegetation, the sounds of the birds, the sight of my primary school at Erina Heights – now surrounded by a high sound barrier fence – close to where Mum and I lived at Matcham Road. Another factor perhaps was the death of my much loved older brother, Michael. This seemed to push me in the direction of thinking about that hazy thing that was our father. For most of my life, he had not rated more than a brief thought, usually in a pub at night in Canberra after a few drinks, where on occasion I might recite a poem he taught me – to the bewilderment, no doubt, of the startled listener. He returned from the war when I was six and had just started primary school at Erina Heights. I walked to school from the bare rented house on Matcham Road. My first memory of him is very clear: a day in 1946. Mum and I lived only a mile or so from her mother’s large house – verandahs on three sides – which overlooked paddocks which I was very fond of exploring. I was exploring them one day in 1946 but was called up from the paddocks to grandmother’s house. I ran in – I ran everywhere, my aunts complained – and was confronted by an unusually large gathering of aunts and uncles sitting around the large, wooden, greyish table in the ‘breakfast room’. They fell silent. I was vaguely aware of a tall, lean man I had never seen before, sitting there. Someone pointed to him and said, ‘Who is this Jan’? All eyes turned to me. I looked at him and struggled. What to say, what to say please God? I finally found something, ‘Your face is familiar’ I said, ‘but I can’t remember your name’. They laughed uproariously, and I flooded with embarrassment. The six-year-old felt that grown-ups were sometimes unfair and cruel. My later experience of Doug was filtered through my mother’s behaviour. She never ran him down in my presence and all I had to go on was what she did and what I observed. I don’t remember his being around much in the house at Matcham Road, like for meals, though he must have been there, but I do remember encounters with him, some pleasant, some unpleasant. The pleasant ones included the time or times when I sat with him on the verandah and he taught me a poem and a song. The poem was Abou Ben Adam and the song ended with the words, ‘Those wedding bells are breaking up that old gang of mine’. Both the poem and the song were about fellow feeling, and I warmed to him. I can still recite the poem and sing the song. It was one of these that I would launch into after a few drinks in theCanberra pub. Unpleasant encounters, on the other hand, included the time my mother smashed a bottle of sherry he had planted under the house and he threw a cup of tea over her. After that, I knew that alcohol, or at least his behaviour under its influence, was a big issue for her. Another encounter was both unpleasant and pleasant in that order. He chased me around the house at Matcham Road to catch me and punish me for something I’d done. He was chasing me at my mother’s request, as I recall. Was she asking Doug to behave like a father should, after being away so long, and to discipline his child? I remember well that run around the house. He couldn’t catch me, and ended up laughing helplessly. I warmed to him again. The most unpleasant encounter occurred the night my mother put me in the double bed at the Matcham Road house and disappeared. I woke to find my father standing by the bed. He looked down at me, and slowly, deliberately, called me all sorts of horrible names, names I can’t remember now. After that, I didn’t think he was nice, and I knew that the fellow feeling of the poem and the song did not extend to me. Thinking about this now, I wonder, though I don’t remember clearly, if it was me who found the bottle of sherry and told my mother. Perhaps two years after that day in 1946 in grandmother’s breakfast room, Mum, me and my brother left the house at Matcham Road and lived at grandmother’s for a while. Mum returned to teaching and, soon after this, a local farmer friend of hers, whose beans I picked from time to time along with other children, including his own, built a small house for us on a small piece of land on one of grandmother’s paddocks. From there, I went to Gosford High School by bus. By that time my brother was apprenticed in Sydney but he came home for weekends to play football and cricket, usually very well, much to the admiration of the locals. I recall looking forward with excitement to Friday nights, when he got home off the bus and together we listened to Much Binding in the Marsh on the wireless. I was still attending high school when my mother told me that Doug had died. I can’t recall what she actually said, but part of it was that he had died at his parents’ home at Uralla near Armidale. By this time, he had become a vague memory for me, never spoken of. I don’t think the word suicide was mentioned. (Suicide was said to be illegal.) It remained a question mark in my mind, but it must have been discussed in his family, as a cousin of my father’s told me many years later that people had been wrong to think that Doug had killed himself. Doug was such a popular and charming man, he said, that he would never have suicided; it was an accident that happened while he was cleaning his gun. I recalled his having a gun at Matcham Road; indeed I had been a little disturbed when he showed me how to use it. 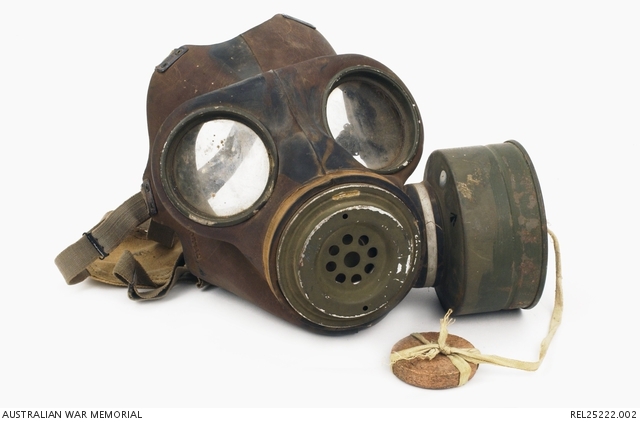 I also recalled the blue silk parachute fabric and the gas mask he brought back. So in sentimental old age, when I started researching my father, two questions were foremost in my mind. Was there evidence of bad behaviour or drunkenness during his war service? Did he or did he not commit suicide? I spend some time in Canberra each year for research purposes so I started by looking at his war service record, contained in his file held at the National Archives. I found his application to enlist. It told me that he was born at Uralla in 1910. I knew about Uralla, near Armidale in northern New South Wales, as Mum and Michael and I had visited there once or twice and stayed with Doug’s sister who lived near his parents. I had not known that Doug was the same age as my mother. His file also told me that he had applied to enlist in the RAAF in November 1940, 14 months after war on Germany was declared and seven months after my birth. Doug’s description of his employment history on his application seemed a bit vague. After leaving school, he had worked in Tricketts store in Uralla. (I remembered the word ‘Tricketts’.) During the four years immediately before his application, he was a self-employed ‘grocery buyer’. Was he, I wondered as I read, unemployed, like many men at that time, with Australia just coming out of the Depression? His application also told me that he had been a ‘golf club steward’ at Terrigal near Matcham Road and grandmother’s house. This rang bells, because in my older years, on the one occasion that I spoke of him to my brother he told me that he (Michael) used to wheel me around the golf course at Terrigal in a pram. I believe the site now contains Terrigal Primary School. Doug’s file also told me that he was accepted as a driver in the RAAF, that he bound himself to attend if enlisted, that he would keep the authorities informed of his whereabouts if he left his current address, and that he agreed to serve anywhere and ‘rough it’. The person who interviewed him noted on file that he was a refined type, though poorly dressed, and that he would be ‘an asset to the force’. Thinking about this as I read, I suspected that at age thirty, he would have been more mature than many other recruits and that this, plus his work experience, contributed to this comment. He was called up as a driver on 8 June 1942, some six months after Pearl Harbour, and was soon promoted to Leading Aircraftsman. Whether this meant he had some supervisory role I don’t know, and Archives staff could not enlighten me. His work was later described on file as being in the Repair and Servicing Unit of the RAAF. This fitted with the memory I had that he refuelled and maintained planes. I was struck by the frequent postings, the different places he was sent to. During his three and a half years’ service he spent only a few months at one place, places where there were airfields. These included Evans Head, Townsville, Iron Range (Cape York), Fenton (Northern Territory), Moratai in the Dutch East Indies, and finally Balikpapan in Borneo in August 1945. I was naive to find this surprising; war, of course, moves people around. 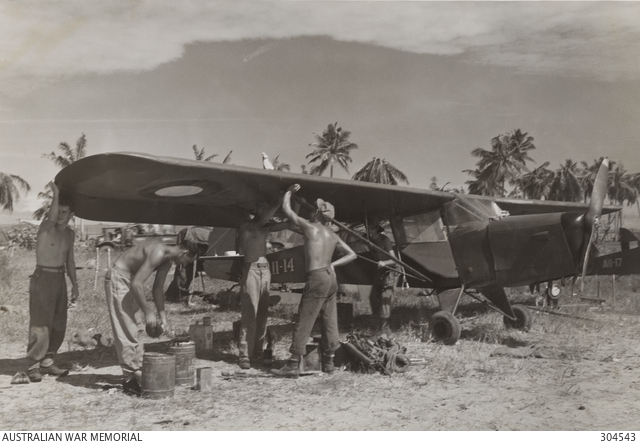 Balikpapan saw the last large Allied operation of the war and Doug was discharged in January 1946. But what of his behaviour? I found a ‘Conduct sheet’ on his file, a sheet which had to be periodically filled out, no doubt for all recruits like him. There was, I was amused to find, a column headed ‘Misdemeanours’ and another headed ‘Drunkenness’. How Australian, I thought. I was chuffed to see that the ‘Drunkenness’ column was blank, but there was one entry in the ‘Misdemeanours’ column. He’d gone AWL (absent without leave) during the posting at Iron Range in March 1944. He was absent for eight days and forfeited eight days’ pay. Otherwise, his ‘Character’ was recorded as ‘Very good’ and his ‘Proficiency’ as ‘Satisfactory’. What was my father up to during those eight days in March 1944? Tasting the delights of dusky maidens in the tropics perhaps? The National Library’s Trove database of newspapers provided an answer. I searched newspapers under his name and the month of March in 1944. In those days, local newspapers often had a social column which recorded the comings and goings of people known locally. The Uralla Times of 16 March reported that Private and Mrs Doug Cooper were visiting his parents. It also reported Doug as saying that the fishing at Cape York was good, but the mosquitos were terrible. Oh yes, I thought, that’s my father (and brother) – loved fishing. His service record looked pretty good to me. And what of his death? The file at NSW State Records containing the ‘Magisterial Inquiry’ (Coroner’s report) into his death left me in no doubt. He shot himself with a single barrelled shot gun about 10 am on 26 March 1955 and it was no accident. I knew then something I had always been vague about, that I was 15 when he died. He shot himself in the room that his parents kept for him in their house near Uralla. He told the doctor who put his bowel back into his stomach and gave him morphine, that he was annoyed that he hadn’t ‘killed himself outright’. His father told the Inquiry that when he saw his son lying in the bed in the room, Doug asked for his forgiveness. The father said he had not known that his son was tired of living. He died in hospital about an hour after he was admitted. His father told the Inquiry about his son’s ill health after the war. He had come back with malaria, he said, which was eventually treated, and he had contracted tropical ulcers when, after the war, he worked for Carpenters at Rabaul and Kavieng. My mother never mentioned his ill health to me and I don’t recall her telling me he had worked at Rabaul and Kavieng after the war. As I absorbed these facts, I realised, with a slight shock, that the time of his death, 1955, was significant for me. A year later, in 1956, after I finished the Leaving Certificate at Gosford High School, she took me on a cruise of Papua New Guinea and nearby islands on the Burns Philp cargo ship Malaita. The Malaita birthed both at Rabaul and Kavieng. She never mentioned that he had worked there. How strange her silence seems now, looking back. I finished my search at the War Memorial. Records there, I was told, were rarely personal as compared with those held by the National Archives, but I searched for photos taken at the places Doug had been posted to. I finally searched under ‘Balikpapan’ and found a photo of a group of unidentified men assembling a plane there in 1945. Their faces are mostly concealed or blurred, but the face of the one closest to the camera, a man who looks older, taller, and leaner than the others, is just visible. I’m sure it’s him. His face looks familiar. * After work in Aboriginal affairs based in Bourke, Jan Cooper completed a PhD on land settlement in Far Western NSW. She is currently researching Sir Sidney Kidman’s relatively brief time as a landholder in NSW.